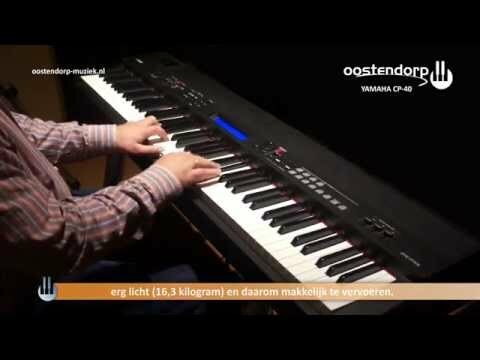 The Yamaha CP40 digital stage piano features sounds taken from Yamaha's Premium Grand Piano and CP Stage range. A top of the range 88-key Gr.. 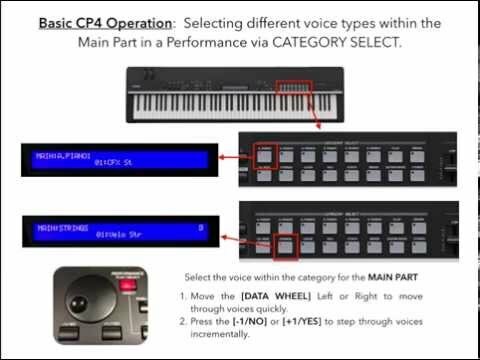 The Yamaha CP40 digital stage piano features sounds taken from Yamaha's Premium Grand Piano and CP Stage range. A top of the range 88-key Graded Hammer (GH) keyboard provides second to none playability, while 297 different sounds to chose from along with 11 effects types provide a world of performance possibilities. Being one of the largest acoustic piano suppliers around Yamaha have selected some of the world's best pianos, meticulously multi-sampled for one of their best stage pianos to date. Taking sounds from the CFIIIS for it's piano sounds Yamaha have turned to some classic and well established instruments for it's other built-in electric piano and synth sounds including the CP80, DX7, RD1 and their flagship motif synthesizer. Change Voices: Voice Category buttons lets you call up the sounds you need quickly and easily-you can even store your favorite sounds for each category. Rd I and Rd II offer the timeless electric piano sound that helped define the music of so many artists in the seventies. The Rd I reproduces the tone achieved using tines and hammers, while the Rd II reflects the remarkable progress in musical instrument technology that occurred in the latter half of the decade. Perfectly emulating the distinctive hammer-and-resonator sound of another star of the sixties and seventies, the Wr voices in the CP STAGE offer everything from the thick, powerful tone of earlier models of these renowned electric pianos to the brighter clarity that later efforts achieved.